This is part of a series of articles on games in Warsaw – click here for the introduction and links to all the other articles. Note that this venue has now been renamed Zagadkownia. 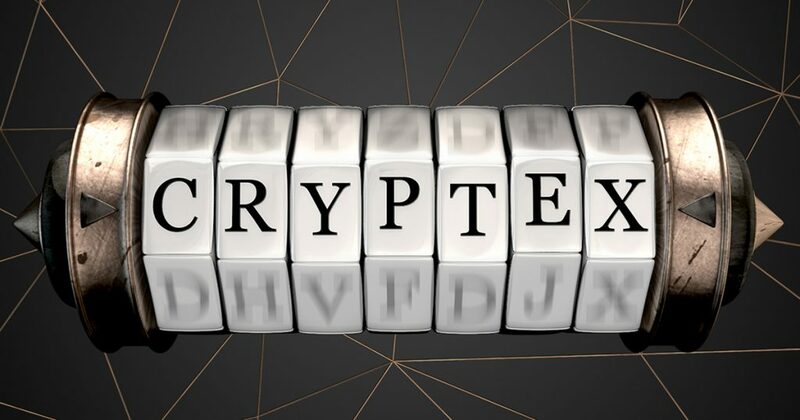 Cryptex was down as one of our backup choices in the city, having not rated very highly in the lockme.pl rankings but popping up in a couple of owner recommendations. Fortunately, we skipped out of another venue early, and this one happened to have some availability. Our initial one-game booking quickly became a booking for two games, and then for three, as soon as we realised just how good the games were. The GMs were friendly, although we struggled a little with communication. Fortunately, they were keeping careful watch and the rooms were logical, so the slight language barrier wasn’t an issue. Indeed, the only place where it affected the experience was when they chose to read out the scripts rather than get us to read them ourselves. Cannibal’s Lair was my favourite game of the trip, whereas Mrs Logic particularly enjoyed Escape Reality. Vampire’s Crypt was still a very, very good game. If you want something chunky and a little dark, Cannibal’s Lair is for you. Want something family friendly, a little magical or calm? Then Escape Reality will do very well indeed. If you can afford the time and money, I’d recommend playing all three. Give me a room full of wooden props and I’m a happy person. Make them carved wood and you may never get me to leave. As soon as I walked into this room, I was certain we’d made a good decision to visit. The whole place exuded quality. The puzzles looked chunky and accessible, and it was hard not to want to dive in and start solving before the time began. It wasn’t just superficial, either – the puzzles were pretty impressive to play too. Some were conceptually simple but required you to have an Aha moment of realisation. In others, it was obvious what you had to do but required you to think carefully about how to get to the right solution. They really were pretty varied, with a few physical interactions, a bit of reasonably tough but fair searching and some decent mental challenges. While the game starts off with a parallelisable set of puzzles and never requires communication, I’d say that it’s worth sticking together in this experience. Several of the puzzles lend themselves to that but, more importantly, there are some really cool interactions that you won’t want to miss out on. While the puzzle quality is high from beginning to end – I don’t think we found a single disappointing challenge in the whole game – I think they lost their way a little with theming as the game progressed. Although everything still fitted with the vampire story, it went from being a very traditional vampire style to something a little less serious and almost cartoony. That grated a bit for me and took the edge off the end of the game. There’s no clock in the room, but I got the feeling the GM was monitoring our progress and would have offered clues if we had been struggling with time. We completed the game in 50 minutes, taking a clue on pretty much the last puzzle. Had we known it was the last puzzle and that we still had over ten minutes to go, I think we’d have got there on our own, but we were starting to get nervous and didn’t know how far from the end we were, so we took the easy way out. Cannibal’s Lair is another beautiful room that I just really enjoyed spending time in. In case it’s a worry for you, I wouldn’t say the cannibal side of the story was very strong. In fact, aside from a couple of references halfway through, this could easily have just been a medieval dungeon game. The combination of wood and stone, the sense of exploration during the game, the solidity of the experience and the careful use of props all helped to build the immersion in the game. I should probably mention that it’s a split start but, if you’re usually put off by that, don’t worry – this was one of the least intimidating ones I’ve seen: you could exchange items and see into each other’s areas. Generally, it just meant you had to communicate a bit more. When I think back to it, I like the subtle way it affected how we solved the puzzles – it encouraged but didn’t require communication and it allowed one person or group to take the lead but without the pressure of working solo for small groups. The puzzles didn’t disappoint either. Once again there were some big chunky interactions – in fact, one of the biggest, chunkiest ones I’ve had. There were some reasonably tricky mental puzzles, some of which required logic, a couple of good searches and one “puzzle” where you really just followed a set of instructions but which effectively added some theatre to the experience. I don’t think any puzzles here are likely to stump enthusiasts, but they were hard enough to be interesting and present a decent challenge to our team. As an example of how they’ve gone the extra mile, there’s a puzzle in the game which requires you to unlock a padlock (spoiler!). Where other companies might have forced the puzzle to generate numbers or letters, they’ve chosen to use an entirely different form of padlock which gives you a solution which fits more nicely in the theme. There was just one place in the whole game where they broke the experience for me, and that was by the use of marker pen in what was otherwise a very medieval game. I truly hope that’s just a temporary addition while they work on adding different direction to the puzzle. Before we knew, it we reached the ending of the game, which was everything you could want in a finale. It was a big, theatrical ending, there was a certain amount of “magic” to the experience and there was even something delightfully humorous about it. Of the games I played in Warsaw, this was my favourite. Having played two relatively darkly-themed rooms at the venue, and with “Escape Reality” being fairly vague, I was surprised to find that this was a fairly mainstream experience (I really should read the websites more…). As with the other rooms, it’s a beautiful experience, but the living room setting is a little less likely to impress you as you walk through the door. To me, this is a subtle game. You won’t get the adrenaline rush you might feel in other good games. The puzzles aren’t the sort where you’ll zoom through excitedly. There was a beautiful calm to the experience interspersed by moments of joy when you saw what you were doing and what it represented. I don’t want to give too much away though. Part of the charm of the experience is learning how to play. The puzzles are more abstract than the average game but equally as rewarding, perhaps more so. The flaws were few and far between. One part of the set that you have to interact with seemed far lower quality than the rest, there was a puzzle with four valid solutions (although at least once you’d solved it you were instantly aware of all those solutions), and there was a really cool part of the game which could be totally subverted by someone with long arms. But they were minor and never really got in the way of things. The game builds beautifully to its finale, with the opening set of puzzles leading you on to a new puzzle that is beautifully disguised. With that solved, it’s on to the true finale, which has a fitting ending to the game that manages to both be an interesting puzzle and make sense in the story. In case it’s not obvious, I’m finding it hard to describe why this game was so enjoyable without giving spoilers away. If you’re looking for an adrenaline-filled adventure, then this isn’t for you. On the other hand, if something a little more calm with some beautiful automation and reveals sounds appealing, then look no further. That’s all on Cryptex – want to read more about Warsaw games? Click here to head back to the main Warsaw page.